A bartender drafts a glass of beer at Plzensky Prazdroj (Pilsner Urquell) brewery in Plzen, Czech Republic, November 12, 2015. 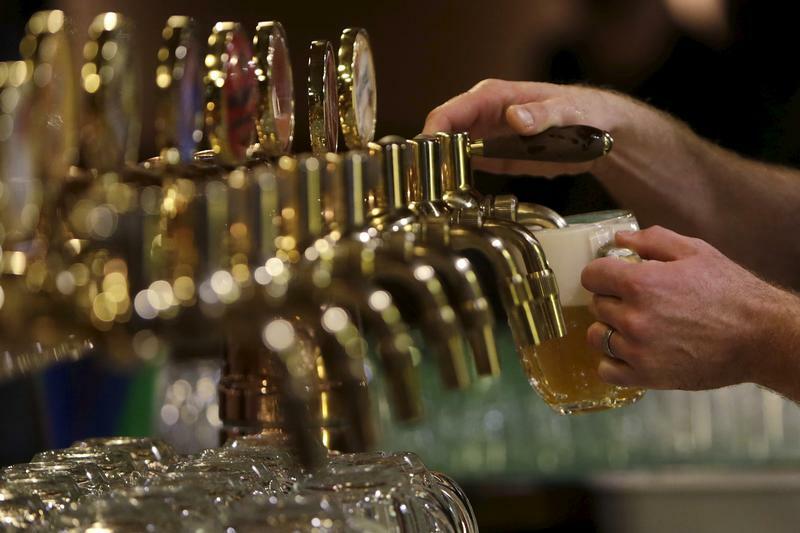 Anheuser-Busch InBev, the world's biggest brewer, launched its $100 billion-plus offer for nearest rival SABMiller on Wednesday and agreed to sell the latter's stake in U.S. venture MillerCoors to help win regulatory approval. The merger will combine AB InBev's Budweiser, Stella Artois and Corona brands with SABMiller's Peroni, Grolsch and Pilsner Urquell and brew almost a third of the world's beer. Belgium-based brewer Anheuser-Busch InBev is considering a partial flotation of its Asian operations, Reuters reported on Jan. 11 citing banking sources, a move that would help reduce its debt. The company, which makes beers including Budweiser, Corona and Stella Artois, has been discussing a possible multibillion-dollar listing in Hong Kong, the report said. Bloomberg reported the initial public offering could raise more than $5 billion, adding that the company could seek to value its Asian business at roughly $70 billion through the share sale. AB InBev said it always looked “at opportunities to optimise” the business and was “very committed” to the Asia-Pacific region, but did not comment further.